DOES REPLACING YOUR WINDOWS ADD VALUE TO YOUR HOME? In general, we all know natural light makes us feel more alive. It helps us to wake in the morning, to feel more connected to the outdoors, and it feeds our bodies with necessary vitamin D. That said, does your home have enough natural light pouring through the windows to sustain your mood and overall health? According to many, many studies performed over the past few decades, most people subconsciously seek out sunlit spaces. Research has also proven that the benefits of natural light can directly affect a person’s overall health. At Brock Doors and Windows, we think about the benefits of natural light because it’s central to our trade in window and door installation. Over the years, we’ve spent a lot of time with homeowners in and around the Greater Toronto Area, making homes more beautiful and efficient with quality replacement windows in Brampton, ON. We’ve found that the more natural light we can help bring into our customer’s home, the happier they are with the end result! Added natural light in your home reduces the amount of mildew and mold growth potential in your home. This is particularly important for families with children and/or allergy issues. Vitamin D is an essential mineral for human beings. It helps us with our immune system regulation, maintaining a healthy body weight, controlling asthma symptoms, keeping our bones strong, and assisting our brains in working efficiently into our senior years. We can take all the supplements we want, but exposure to sunlight remains the primary method in which people receive and absorb an appropriate amount of vitamin D.
Natural light, according to research conducted globally, proves to causes use people to be more productive, creative, cheery, and calm. Studies actually show students (of all ages) who are exposed to more natural light test better, study more efficiently, and interact more readily in class. Seasonal Affective Disorder is a very common plight—the symptoms of this disorder are positively affected by increasing natural light. Natural lighting reduces eye strain. Natural light actually creates euphoric feelings and the sensation of connectedness to our Earth. Does depression affect you or someone you love? Science has shown that exposure to natural light—even for a short period of time—can prevent or lower the intensity of depression in adults and children. Aside from the extensive health benefits, natural light is also helpful for elevating the aesthetics within your spaces at home. 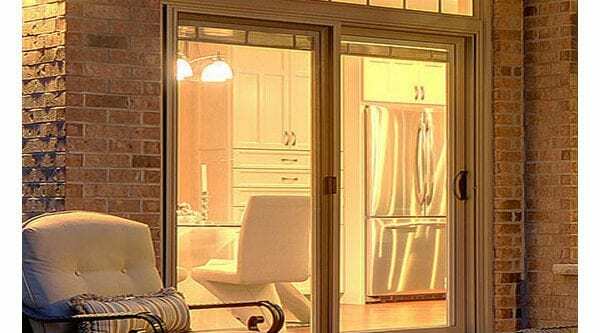 In fact, architects spend years learning how to use natural light to make spaces appear larger and to increase the mood within each room—we, too, have studied how to optimize the light in your home through our replacement windows. At Brock, we think about where the sun rises and sets, where you will spend your time and drink your morning coffee. We look at where you will entertain and whether or not the size and style of your current windows work well to flood your home with needed light. So, how’s the natural light in your home? How’s your health? Let’s improve both with Brock replacement windows! Give our team a call today!